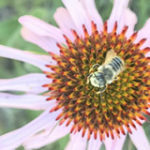 Sunday, October 28, 2018 “Dyeing with Native Plants” will be an opportunity to use native plant materials to dye yarns and fabrics. Several native dyes will be free and available at the event. Participants are also encouraged to bring in their own dye concoctions. A limited number of silk scarves will be available for purchase at the event. Come spend a morning at this season-ending Chapter event presented by Jessie Salix, Beaverhead-Deerlodge Forest Botanist. For meeting time and place, contact Jessie at 406 683 3749. Sunday, December 2, 2018 Calypso Chapter Annual Meeting and Pot Luck. Come share a meal and enjoy the warmth of the season as we plan the Chapter events for 2019. Time and place to be announced. 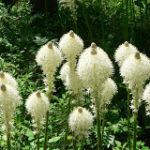 Click here for the Vipond Park plant list. There are several special interest and plant areas on this loop. One can approach Vipond Park from the north turning at the Wise River exit and turning south on the Quartz Hill road just past Dewey. From the south, one can go to Melrose, across the tracks and river and head up Trapper Creek road. Going from this approach, one will first pass the old town of Glendale. Not much is left. The next stop is the charcoal kilns, which are being restored. Next, head up the switchbacks to Vipond Park. Look for Penstemon lemhiensis on the road cuts on the switchbacks. There is a good viewpoint to the top of the switchback to observe the glacial terrain of Canyon Creek. Once on top, you are in Vipond Park. Pending times, one can observe fields of camas, Camassia quamash, along with numerous wet forbs; Claytonia lanceolata, Pedicularis groenlandica and more. 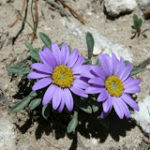 Coming down from Vipond Park, look for pygmy bitterroots and fields of pasque flowers. There are abundant Calypso orchids blooming about 3.4 miles from the end of Quartz Hill road. Coming from the top, start looking in the Douglas fir zone, just after the subalpine fir zone. Look off the road by the rotten logs. They are in clumps of 30 to +40 plants. Mid to late June is ideal. In lower elevations there is plenty to see; townsendia, bluebells, penstemons, phlox, erigerons, senecios and more. Glacier lilies are the early bloomers. Flora changes from week to week. For the best road information, obtain a Forest Service travel plan and contact the Dillon Ranger Office at 406 683 3900 or the Wise River Ranger Office at 406 683 3900. Click here for the Gravelly Mountain Tour plant list. This area is south of Ennis. Several loops can be made to access the subalpine meadows. High elevations and open meadows dominate the area. July through August are the best flora viewing months. Fields of Polygonum bistortoides, Hymenoxys grandiflora and Wyethia are abundant. A plant list is available. Rare pink Agoseris lackschewitzii and Thalictrum alpinum can be found. In early to mid July, the Forest Service leads a public tour of the area. To obtain a Forest map and more information contact the Madison Ranger District Office at 406 682 4253.